Pretty uneventful day today. Delivered a couple of bows I had rehaired, and a fiddle I’d restored. No work on the cello at all. Maybe tomorrow, depending on how tired I am after classes are over. I’m glad folks are enjoying the build. 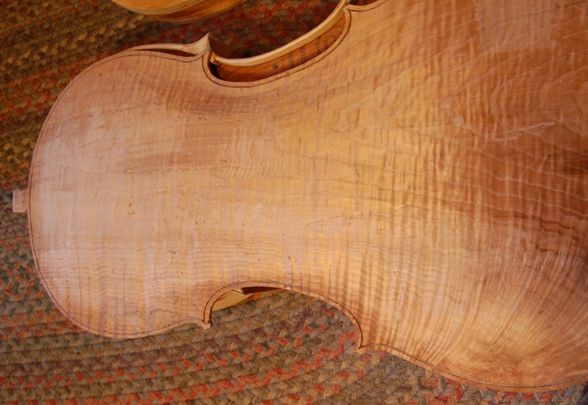 I had a really frustrating thing happen: I had finally decided that the spruce I had in stock was not going to be suitable for a cello top, so I ordered two Sitka tops from a local tonewood company. I quoted the price from their website, and they agreed that was right. I waited while they checked their stock, and called me back, telling me it was in stock…talked with three people before I was done, but got off the phone satisfied that my plates were on the way. Expected them Friday…Saturday at the latest. So…Friday, mid-morning, I got a call (a fourth individual), saying they did NOT have any of that grade, and I had to take the next grade up, and that the prices on the website were out of date, so, I was not only going to be getting my plates a week later, but would be paying half again as much for the privilege. 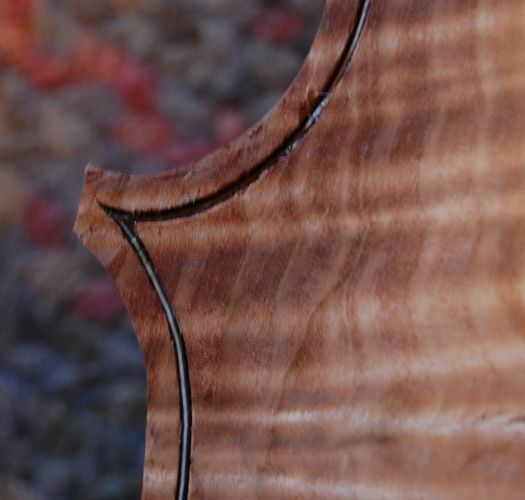 I ended up cancelling the order, and calling International Violin Co. and getting three European spruce cello tops from them for the price of the two they wanted to sell me at the other place…including shipping from Baltimore. Still will be the end of this week before the wood is here, but at least I am not getting the run-around. Too bad. I have dealt with that local company in the past…not sure I want to, anymore. So…I guess the goal now is to see how much I can get done on the back, scroll and neck, and plan on joining the spruce plates next weekend. Best I can do, I guess. Be patient…it will come together eventually. But I really need it to be done by mid April…really.